F1 meetings in Bahrain for various reasons have a slightly unreal quality to them (in F1 terms anyway). A bit like normality has for the most part been temporarily suspended. This is related to the surrounding controversy of the race happening, the introduction of issues that the sport doesn't have to think about ordinarily, as well as the track's slightly eery sparsely-populated grandstands. But today the unreality extended to on-track matters as well. 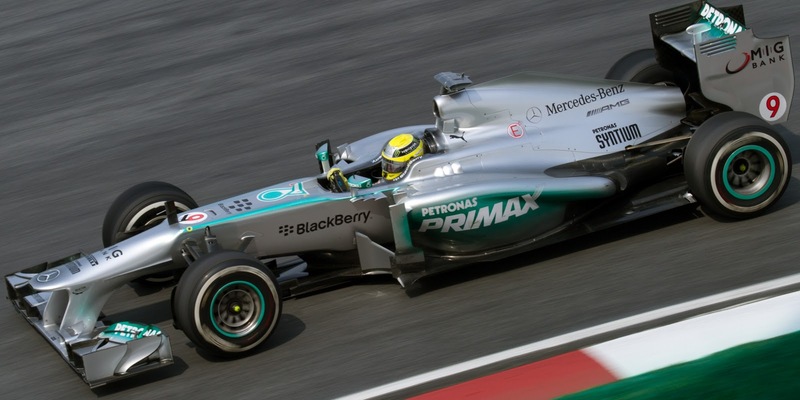 Nico Rosberg hardly featured in predictions of who'd emerge as the Bahrain pole sitter. The odds of him doing so I'd imagine would have been long. And yet that is precisely what happened. And it couldn't have been timed better for driver or for team, as it comes in a weekend which looked like it was going to be the first of the year wherein the Mercedes wasn't quite on the pace, in qualifying at least. And of course the biggest challenge for Merc in 2013 is demonstrating that it's not going to repeat its sink down the order as the year progresses, seen in so many previous campaigns (and Bahrain was when the team's subsidence started last time). And for Nico, it follows a weekend in China which was the first of the year wherein his much-vaunted team mate Lewis Hamilton had seriously put some air between the two of them, so it was vital that he demonstrated in Bahrain that it was a blip and not the shape of things to come. In F1, nothing succeeds like failure; Rosberg is no doubt aware that there are plenty, within the team and elsewhere, who would be very quick to consider him 'the other driver', consciously or unconsciously, if Lewis got on top consistently. Further, it follows on from three rounds this year in which Rosberg has looked quick but his pace for whatever reason has tapered off when it most matters in the last moments of Q3. Well timed, as I said. And Rosberg's claiming of the pole was almost larcenous. The qualifying hour started much as expected in terms of who was hot and who not, but then halfway through the second session Rosberg on new medium tyres out of nothing it seemed banged in a lap half a second quicker than anyone else, including his team mate, had managed. And it was no flash in the pan, as in the final vital session he took a further half second off that time, which even Vettel, Alonso and Hamilton on full gun couldn't match. Yet another reminder that F1, while it is many things, is never predictable. 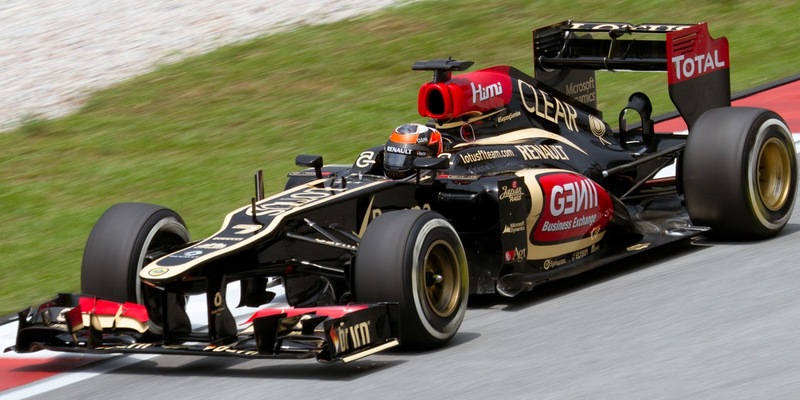 What can Kimi Raikkonen do from P8? But sadly the glory may be short-lived, as the evidence from Friday practice is not encouraging for Mercedes on long run pace (but neither was it on single lap pace, so who knows? ), while in China Lewis sank backwards somewhat after leading from the off. The race contenders may be elsewhere, and even Rosberg hinted at thinking so. Many expect it'll all boil down to a Alonso vs. Kimi battle, given both looked most impressive on the longer runs in practice. This may well be the case, and currently it is advantage Alonso as he'll start P3 to Kimi's P8 (the Finn curiously off it but gaining a place thanks to a grid penalty for Hamilton following a gearbox change), but on the other hand Kimi's race runs from Friday may be marginally more handy, and a two-stopper may be on the cards which will help him clear traffic. But then again, things might not necessarily be that simple. For one thing, there just so happens to be a guy who's won the last three world championships sitting in second place on the grid, none other than Sebastian Vettel. The conventional wisdom is that the Ferrari and Lotus have better race day pace than the Red Bull, but Seb will do his formidable best as always and you won't get rich by writing him off in advance. Further, Seb's tyres were meant to be eaten alive in Malaysia too and it never happened. 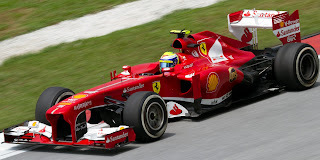 Felipe Massa - a dark horse? And we have a wild card starting in fourth, one Felipe Massa who has made prodigious use of his loaf. Knowing that Mark Webber and Lewis Hamilton were facing grid penalties he decided to do his Q3 lap on the less quick but more durable hard tyre (meaning he's to start the race on them too), and sure enough the penalties vaulted him up from sixth to fourth. The man himself admitted that it is all a 'gamble', and there isn't a massive difference between the two tyres so the utility of his plan may be limited. 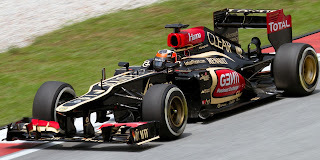 But we saw particularly from Sergio Perez last year the rewards that can be had from such a contrary strategy. In Massa's case, given he has been just shy of the pace for most of the weekend, it was surely worth the punt. So, as is often the case of F1 in Bahrain, we may have a heady mix of F1 reality and unreality in the race tomorrow.